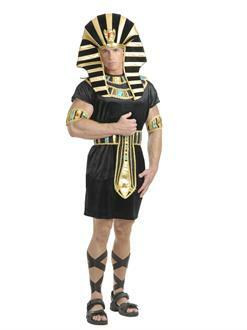 You'll be a god on earth when dressed in the Black and Gold King Tut Men's Costume. 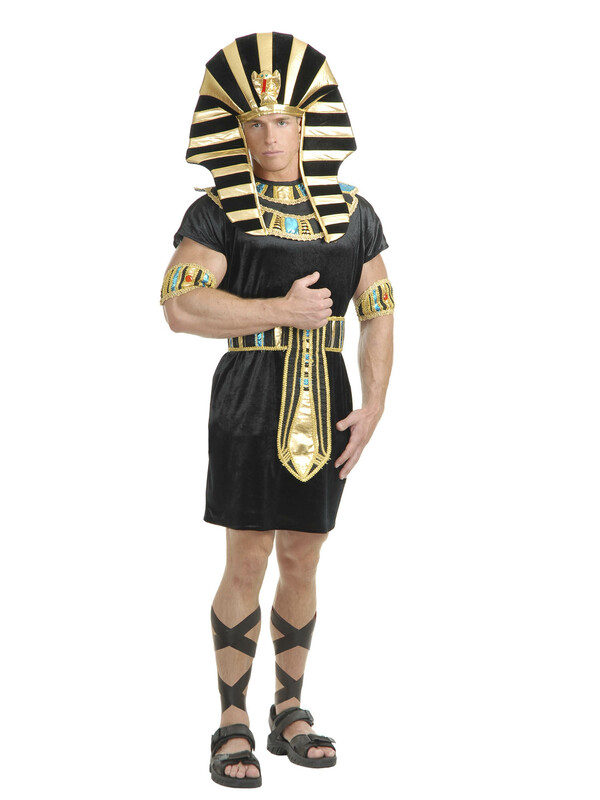 This order features a black tunic, a striped collar, a matching headpiece with a cobra head attachment, arm bands, and a belt. Find a scepter to wield in order to make your power look more impressive.